Fibre optic network builder Cityfibre has today claimed to have won the first contract under the UK Government’s new £190m Local Full Fibre Network (LFFN) challenge fund, which will see them working with West Sussex County Council to provide Gigabit FTTP broadband ISP connectivity to 9 urban areas within the council’s jurisdiction. Back in March 2018 the Chancellor, Philip Hammond MP, issued his 2018 Spring Statement and confirmed a new £95m allocation from the Local Full Fibre Network (LFFN) fund (here and here), which was setup to stimulate commercial investment in “gigabit capable” broadband (rural and urban). Some 13 areas across the United Kingdom secured this round of investment and have since been busy seeking suppliers. Meanwhile the West Sussex Gigabit Project had already received some investment from an earlier pilot scheme. The goal of this scheme is to provide new end-to-end Gigabit dark fibre networks in nine urban areas through a multi-year lease agreement with a single supplier (details below). The project proposed to test and demonstrate two approaches to funding a “full fibre” roll out. The first approach is that of the Gigabit Voucher scheme, which has already launched (here), while the second is the familiar Anchor Tenancy model; using long-term public sector demand to underpin commercial investment in full fibre, with public sector sites being the first to benefit. At the time we said that this anchor tenancy model sounded ideal for Cityfibre (they’ve adopted it plenty of times before), which has now proven correct. According to today’s announcement, the final contract will adopt a 30-year framework agreement 4 year framework agreement (over a 30 year Indefeasible Rights of Use), with a total lifetime value of £52.7m. 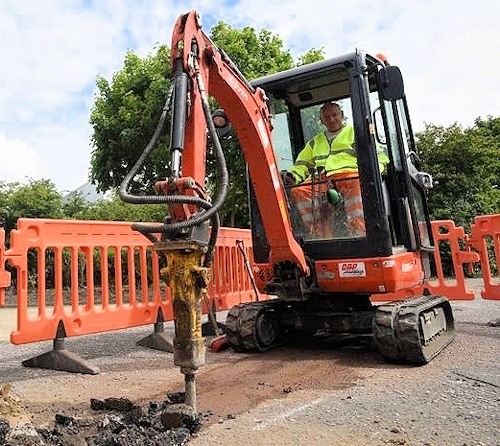 As part of this Cityfibre will construct new “future-proof full-fibre networks” to 152 council sites in Bognor Regis, Burgess Hill, Chichester, Crawley, Haywards Heath, Horsham, Littlehampton, Shoreham and Worthing. The initial contract value of this first phase call-off under the framework is £5.7m. Cityfibre said “this contract marks the first project funded under the Department of Culture, Media and Sport’s Local LFFN” programme and construction on the project is anticipated to begin in August 2018, with the first connections expected to be activated early in 2019. Upon completion it’s anticipated that this will extend Cityfibre’s fibre optic network coverage to 51 towns and cities across the UK. One advantage of this approach is that the core fibre optic network often ends up being extended out to cover local businesses via new Fibre-to-the-Premises (FTTP) and Ethernet style connectivity solutions. Further down the road it may also open up an opportunity for Cityfibre and Vodafone to extend their 1Gbps Fibre-to-the-Home (FTTH) broadband service to local residents (here). At present the vast majority of West Sussex can access a superfast broadband (24Mbps+) network, although ultrafast (100Mbps+) coverage can only reach around a third of premises and that’s almost entirely down to Virgin Media’s cable network. In other words, there’s plenty of scope for improvement on the ultrafast side of things. This appears to be “pure fibre broadband gigabit infrastructure across public sector sites in West Sussex”. This is separate to the West Sussex’s Better Connected project within the central government Broadband Delivery UK (BDUK) initiative. West Sussex gave approval for this OJEU procurement last autumn. It is interesting that CityFibre won this tender as I know of other providers in these areas that I would have considered as better positioned particularly as the the towns mentioned are currently not covered by Better Connected as they are specified as “commercial rollout”. LFFN states “LFFN funding cannot be used to substitute other sources of funding which would otherwise have been used to fund projects and cannot be used in locations where the market is already building or planning to build full fibre connections”. So I am confused. Is this saying, even with £8m of BDUK subsidies for West Sussex, the UK now needs to offer £5m to Cityfibre to deliver fibre already served by BT private circuits, so it or its agents can contract for £52.7m worth of connectivity services with the Council? I have suggested that the mis-selling of private circuits, where Broadband was needed is a sign of market failure for connectivity, but this seems to go further and suggests the lack of competition provides the justification for state aid. Interesting to read the state aid guidelines on this given the challenge made in Birmingham many moons ago. BDUK was a general deployment model focused on the last generation of “superfast broadband” (predominantly for homes), rarely Gigabit full fibre, and couldn’t easily be used in dense urban areas. LFFN is a different kettle of fish and shouldn’t be confused with BDUK’s very different framework. Are you saying all those urban council buildings in West Sussex are already connected to a BT fibre optic link? I’m not sure that’s correct. In this case there is competition from OR and VM (and others) This does not help the multitude of communitees in the middle of West Sussex who can’t get decent broadband and have no public service buildings anywhere near them. Whilst WS saving money will hopefully reduce my rates, public money should be focused in more deserving parts of the UK. It should not depend on the who can write their case quicker. According to West Sussex County Council all high cost BDUK projects are on hold until the government and BT have negotiated a cost threshold and who shall pay. At least that’s what my parish magazine says. There are some really angry people here who have already dug trenches ready to be connected, only to be told that the project might be cancelled! The LFFN funding here is different to the BDUK funding for local broadband. 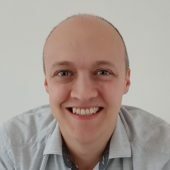 There is a total lack of visibility of the Better Connected project. Places like Cuckfield have both FTTC and now Openreach’s Community Fibre Partnerships (FTTP) going on so it all looks a bit confusing. West Sussex are probably fudging while they ascertain what will be funded by central Government. If they promised either FTTC Cabinets or FTTP vouchers to your parish in the current round then they should honour that. As West Sussex is assuming responsibility for this why can’t they publish detailed plans and progress so we all know what’s going on. Mark, I was seeking clarity on the market failure. If there is no failure in the delivery of Business Connectivity services and I think this is the case, then is there is a new market being defined and well, what is it. LA investing in their own passives infrastructure then there are tested precedents, this looks new. Good to understand the detail. 100% agree with meadmooj. If they focused more of lighting up the restricted areas we currently have across the UK instead of feeding the minority I doubt people would complain. There are still way to many unlit areas across the UK. We are still years behind compared to some other countries. We should get our house in order before all this! Tom – on rural, West Sussex should have plenty of funds to continue. There cannot be anymore than c555 cabinets and less than 2,000 FTTP delivered so far. This hardly touches the £4m capital contribution from BT and the £7m that ought to come from the £536m money owed back. The lack of transparency is impacting the planning and execution of these works. The cost of coverage if planned ought to have been averaged rather than gamed to optimise BT cash flow. Some LA’s are now using the same confidentiality agreements as BT, are now deciding who to exclude despite the funds being available. You guys are hitting the nail on the head. There is a total lack of transparency. The better connected website is an absolute joke, it hasn’t been updated since October and if they do it will probably just be a regurgitated press release. There was a meeting at WSCC on the 23rd of may regarding broadband, but I assume it must of been behind closed doors as I can’t even find it listed, let alone read the agenda and minutes.